Free rectangle box mockup to create a professional presentation for your apparel designs. 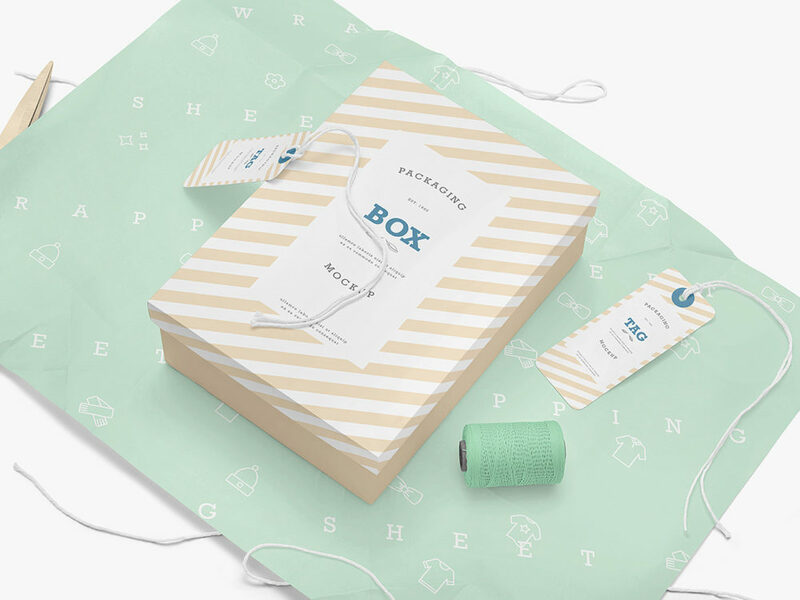 This freebie offers a variety of customizable products like label tags, rectangular box, thread cord, wrapping sheet, and a scissor. PSD file consists of smart objects.